Shanghai HUIZHI Translation Co., Ltd.
HUIZHI is a translation and interpretation company that helps its clients meet the demands of today's global marketplace by overcoming communication barriers with accurate translations and interpretations. HUIZHI translates anything, from personal documents to complicated scientific texts and websites. HUIZHI interprets any language, in any venue, and in every medium. 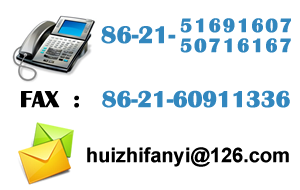 HUIZHI Translation Company understands your unique, demanding, language service requirements. Many years as a professional translation services company with countless clients in widespread industries have taught us that fast, accurate, reliable translation and interpretation services are crucial to the success of your project. As a professional language translation agency, we know time is of the essence; linguists must be experts, not just bi-lingual employees - and that in a world where personal attention is dying, customer service still reigns supreme. High Volume Capability:Over 1000 translation service specialists and certified interpreters. Precision Management: Our proprietary tracking system OnTarget, let's track your project. Experienced: 2000+ corporate and government clients since 2007. Quality Centered: ISO 9001:2008 Certified & Registered. Services You Can Trust. Prices You Can Afford. As a professional translation agency, our commitment to quality is evident in our strict selection of expert translators and our unique 4-step process. We provide document translation in over 100 languages including web page and website translation, technical manual translations, medical translation, and legal translation. Some of the language services we provide are German, English and French translators, Russian translations, Arabic translations, and 100+ more. Your One-Stop-Shop For Interpreting Services. Whether you need a consecutive interpreter for a medical consultation or conference interpretation for a large convention, we have the interpretation equipment and expertise to meet your needs. 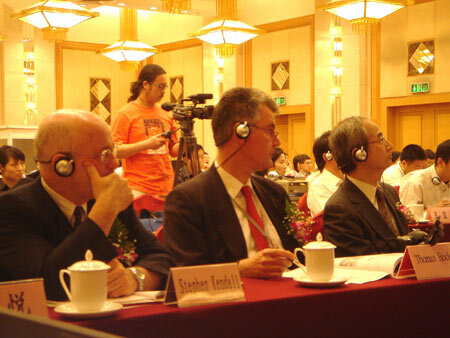 We provide conference interpreters as well as simultaneous and consecutive interpretation. Our unique management software also allows us to access and change schedules, times, and meetings up to the last second to assure your project will run smoothly. Cutting Edge Equipment,from Industry Leaders. 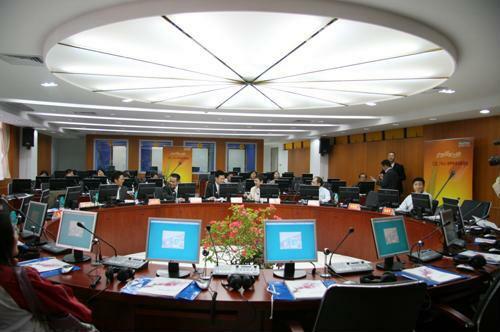 HUIZHI Translation Company understands that the success or failure of an event can hinge on the quality and performance of the translation and interpretation equipment. Transmitters, receivers, and headphones must function flawlessly to deliver a comfortable, crystal clear signal, every time. We guarantee that every project HUIZHI Translation Company is involved with will include equipment from industry leading audio manufacturers such as Listen Technologies, Williams Sound, and Skull Candy. Each Desktop Publishing job we face is met with agility, precision and creativity from our DTP team. FrameMaker, InDesign, Quark, Photoshop, and AutoCad are just some of the programs we use on a daily basis. Not to mention converting websites, help files and softwares in html, xml, .net, .resx, .chm and more. We know that layout is tricky when you go from English to Arabic, and we understand the subtle nature of multilingual layout in almost any language, any platform. Professional Instructors for any Classroom Setting. We provide professional language instructors for many organizations and institutions. Whether you need a consecutive interpreter instructor for a two-day Farsi class, or instructors for a semester or more, we have the linguists with the education experience you need. Each linguist is selected based on HUIZHI Translation Company's strict standards and are throughly reveiwed before a job is offered. Turn Your Website into Your Best Salesman! Website localization is more than adding an automatic translator to your site. Automatic translators appear lazy and unprofessional. Be professional, if you want to truly reach your target market, do it right! If you need to globalize your website, product line, commercial or any other media, in order for your project to be effective in a foreign environment, it is essential that it appears local to your target market. Our team of international localization experts will take your project and make it effective in that foreign market. © Copyright 2008 Shanghai HUIZHI Translation Co., Ltd All Rights Reserved.